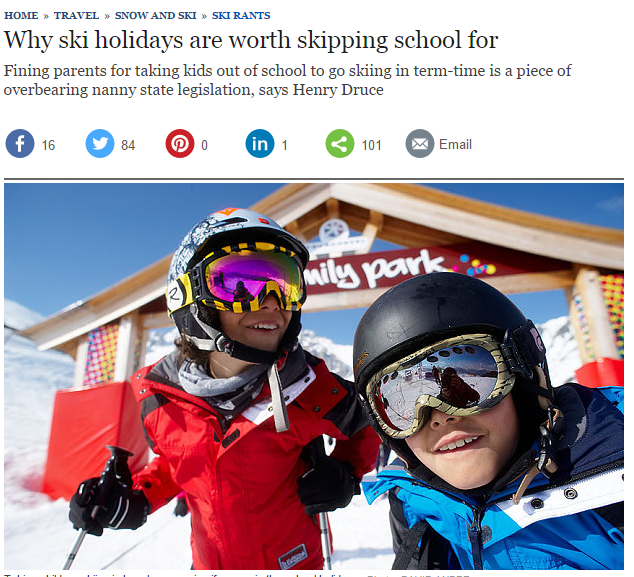 We read with interest Henry Druce’s recent post on the Telegraph: ‘Why ski holidays are worth skipping school for’. Is skiing destined to be ‘the preserve of the rich’? 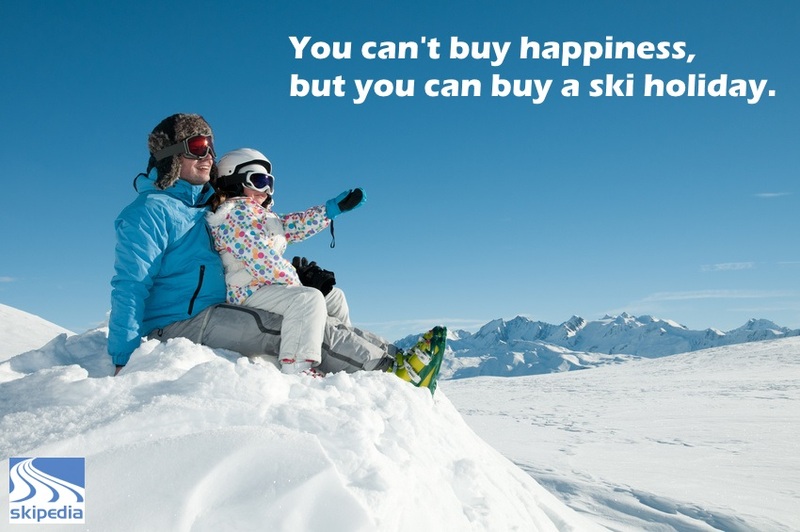 Henry’s key point – that a skiing holiday is a great experience for children – is absolutely true, but is he right that skiing is destined to become ‘the preserve of the rich’? My wife and I took the decision to take our children out of school for the last week of the autumn term, immediately before they were due to break up for Christmas. If we’d stayed in the same chalet, the following week, it would have cost us £1360 more. So by paying the fine, we were able to go on a skiing holiday at a quieter time of year, with fewer skiers on the pistes, less traffic on the roads and save over £1000. Our children’s classmates filled the last week of term with a carol concert, and somehow managed to find the time in the busy curriculum to watch three DVDs. In the meantime, our two exercised every day, tried out their (limited) French and enjoyed some great family time. Admittedly we may not take them out of school in an ‘exam year’, but children build new skills and self-confidence on a skiing holiday. While we hope this ill-conceived legislation is dropped, don’t let skiing ‘be the preserve of the rich’ – just bite the bullet, pay the fine and take your children on a ski holiday. Previous postUK Snowsports Market Twice As Large As Thought? Next postIs 'Force Majeure' - a movie set in Les Arcs - worth watching?